It is important to understand if buying a shareholding is the right form of investment for you. You become a shareholder by purchasing equity in a business. This means that you are providing a monetary investment for a percentage of the business. For example, if you buy $10 000 worth of shares in a $100 000 business, you will own a 10% equity in the business and will be ascribed profits or losses accordingly. Profits are usually paid in a dividend, which are subject to tax. However, shareholders may receive a tax credit if the company has already paid tax on the profits. Shareholders are part owners of the business and have a degree of control over the direction of the business. However, everyday business decisions still fall to the Directors. The greater responsibility of directors is reflected in their higher liability for breaches of director’s duties in the case that the business fails. Shareholders’ liability is usually limited to the nominal value of their shares, but if the business fails other forms of investment will have priority to recover initial monetary contributions. Once you decide that becoming a shareholder is right for you, it is best to seek professional advice about your investment. It is essential that you know the business you are buying into. You will need to investigate the business’ finances, operations and compliance with the law. This may include getting a valuation by an external auditor or accountant. A non-disclosure agreement will usually be signed before this step takes place. Not understanding the business that you are buying into can lead to financial loss. Certain industries have special rules that require you to register your shareholding with a regulatory body. You will need to check if this applies to you before buying shares. You will purchase the shares at the specified price from the business owner. You can purchase the shares with your own funds, or can alternatively look to have the shares financed. The final step is to execute a formal legal document that outlines the terms of sale, confidentiality and other important clauses. This will also outline if there are any ongoing obligations required of you as a shareholder. The process involved in buying a shareholding is a lengthy one and the benefit of legal advice can determine the success of your investment. 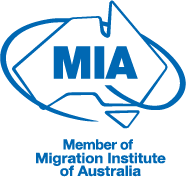 Contact Pathway Lawyers & Migration Agents now for timely, cost-effective advice. Newer PostIn an Australian lease, what is the difference between wear and tear and damage? How does it affect my rental bond? Older PostIs my foreign pre-nuptial agreement enforceable now I'm living in Australia?